A white tee is a timeless wardrobe staple that always works – for parties, for work, for every day. 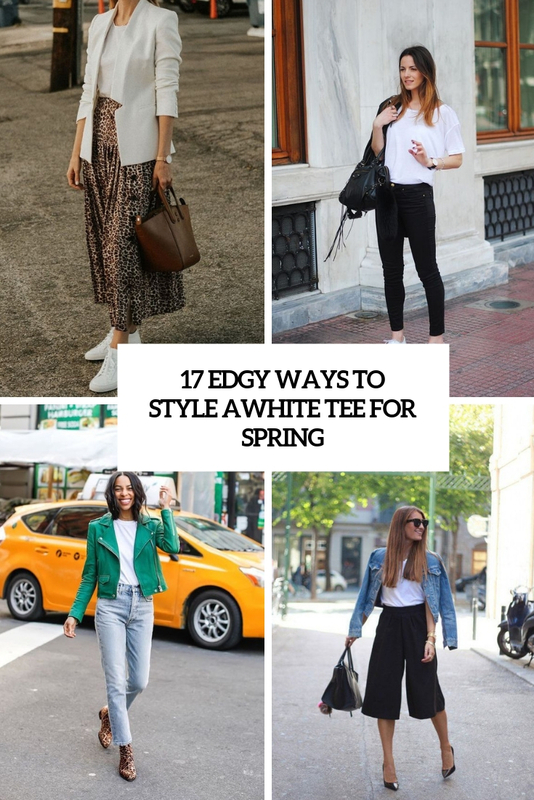 How to style a white t-shirt for spring to avoid any outdated looks? We’ve prepared some trendy ideas. Rock a white tee with a midi or maxi skirt, with sneakers or heels and a jacket you like – a denim or a leather one. As you are rocking a neutral top, you may go for a bright skirt, a floral or polka dot one in bold colors. 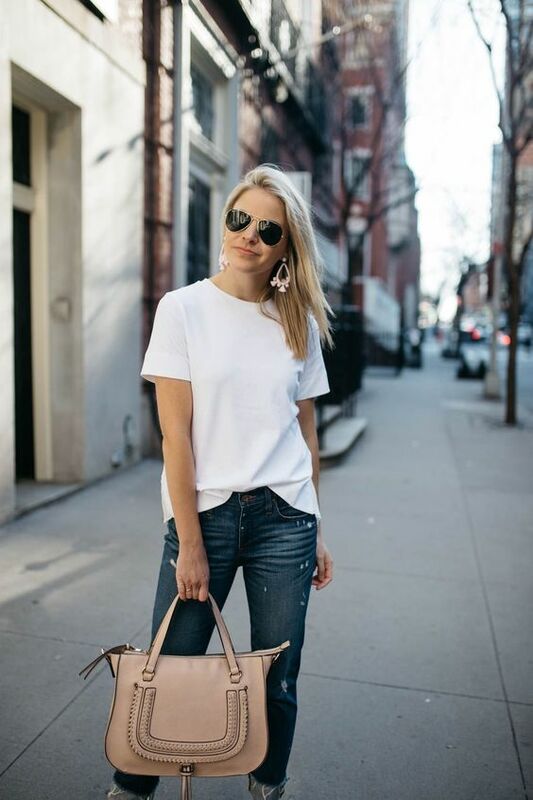 Pair a white tee with white or blue jeans, add sneakers and a denim or leather jacket. Rock a white tee with black culottes, add heels, a clutch and a blazer to go to work. 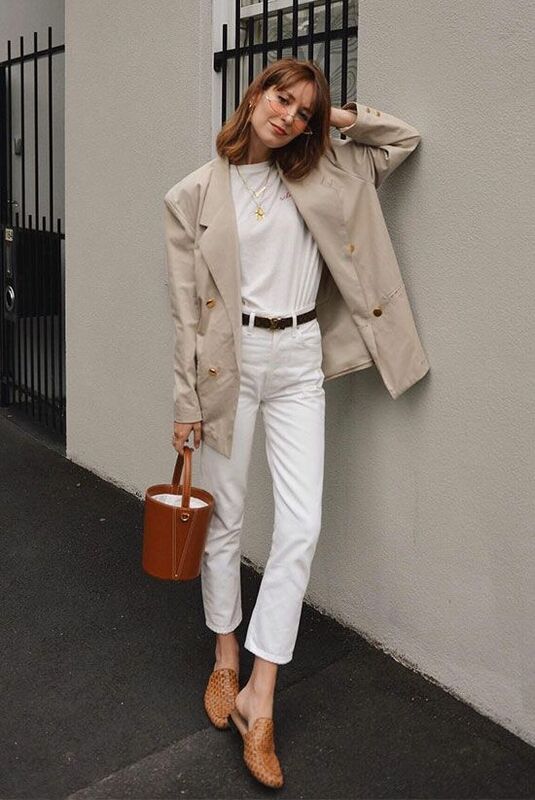 Style a trendy suit with a white tee and white sneakers – such a combo is ideal to go to work. Try a bold suit or skirt suit to make your look brighter and chic.